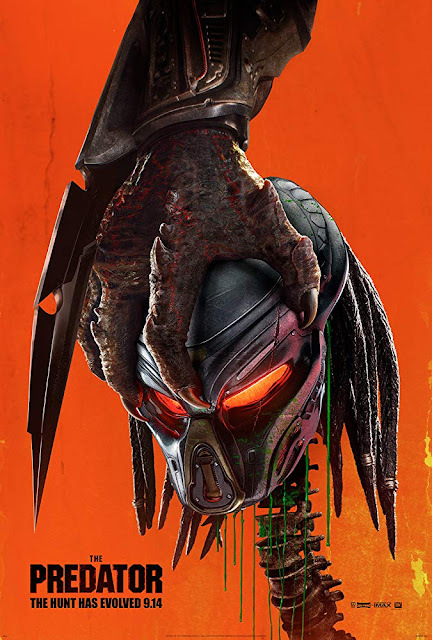 The Predator's reputation preceded it as everywhere I turned I seemed to see people going on about how terrible it was. This is the latest in the Predator series with previous film Predators being so forgettable that the only thing I can remember about it is a bunch of people diving out a plane at the films start, and a real life fight in the cinema that broke out, distracting me from seeing how the on screen final fight ended. Needless to say I'm not the hugest fan of the franchise but I did get some enjoyment out of this even if it is a film of two halves. The first half of this film was actually pretty darn entertaining, it felt almost weirdly like a comedy as there were lots and lots of jokes, a lot of these were quite funny and I even found myself laughing out loud during one which referenced an iconic line from the original film (embarrassingly I appeared to be the only person in the audience who found that funny enough to laugh out loud). The group of soldiers Quinn teams up with all have their own quirks and specialities and riffed well off of each other, it felt like a crazier version of the A-Team as they are hunted by the dodgy government agency wherever they go. The jokes were funny a lot of the time but a few about mental disabilities left the audience muttering amongst themselves I found. The second half things get a little bit more seriously, unfortunately this also means things get a little bit more dull. Most the second half takes place at night out in forests and got to be a little bit too generic at times with the humour mostly taking a backseat. The film is a 15 so I didn't expect much blood or gore but actually there was a lot, people get ripped in half, decapitated, get limbs amputated, crushed, blown up, shot and killed in gruesome ways, hell one poor soul even gets a tranquiliser dart through their eye socket. 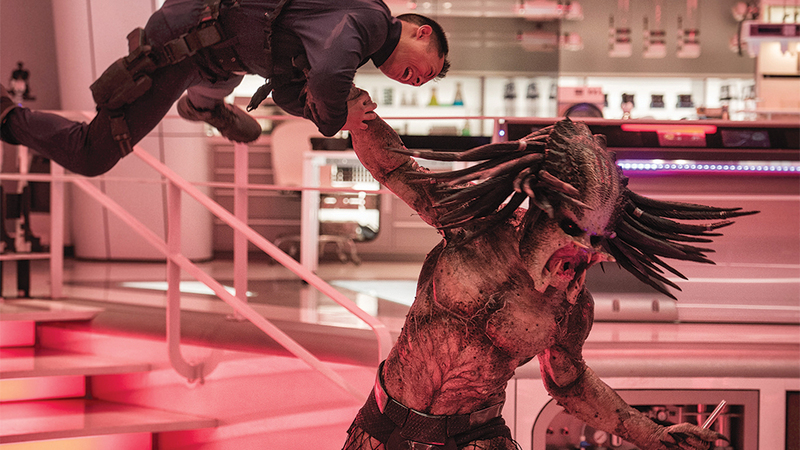 There were some great early scenes with the Predator, such as its escape from the facility it was held at that had some great horror like action moments. The whole pursuit of this creature was all pretty good but as mentioned the second half just felt far more generic. Apparently a huge chunk of the second half had to be re-shot due to being too dark so maybe that had something to do with it, it does have its moments though such as a cool scene set on top of a flying spaceship that had a force field that gave me nostalgic memories of the laser grid from Resident Evil. The special effects were ok, they never blew me away, especially with the spaceships that just looked a little bit off. The make-up effects for the aliens are decent enough and you get the iconic things you would expect of them such as shoulder mounted guns, invisibility, the three red dots, shurikens and heat signatures. Parts where the humans are using various items borrowed from the Predator were quite fun, one nice severed hand resulting from one poor characters misuse of tech. The soundtrack I think must have been purposely nostalgic as it sounded like it was ripped from any number of 90's soundtracks to action films, there was nothing memorable about it at all and truth be told it felt a little like placeholder music that they forgot to replace. The music does go with the style of this film though as this is action through and through, the plot is extremely simple. 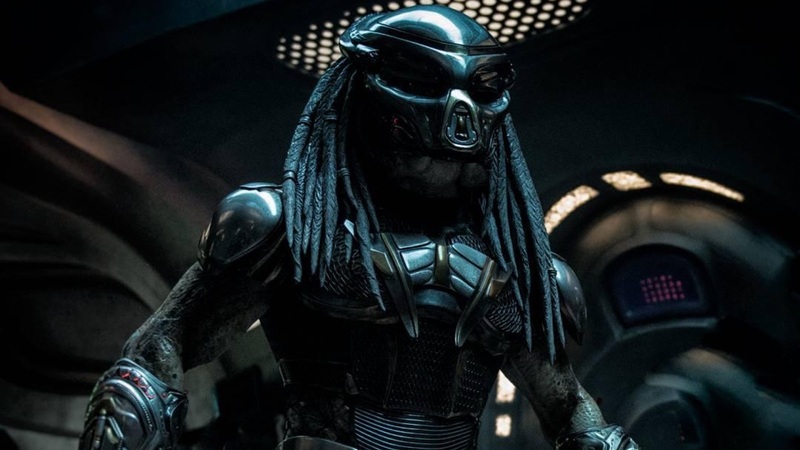 So with The Predator you have invincible alien dogs, lots of violence and explosions, an autistic child who somehow seems to have a super hero ability of understanding the Predator language, passable CGI and lots and lots of action. What you don't have is a particularly interesting story, or a film in general that is going to stick in the mind. Eight years on and I can barely recall Predators at all, I feel that will be the exact same thing for this latest entry.